A French architect with alleged links to scandal-hit Chinese politician Bo Xilai has left Cambodia for China, officials say. Patrick Devillers was detained in Phnom Penh on 13 June at China's request. He reportedly had close ties to Mr Bo and his wife, Gu Kailai, a suspect in the death of British man Neil Heywood. Cambodia had said he would not be sent to either China or France without an investigation, but officials said he left on Tuesday of his own free will. "China wants him as a witness," Information Minister Khieu Kanharith told Reuters news agency. Mr Devillers, 52, has been living in Cambodia for the past five years. Reports said he checked into a Shanghai-bound flight late on Tuesday. Mr Bo, the former high-flying leader of the south-western Chinese megacity of Chongqing, was sacked in March and is under investigation for flouting Communist Party discipline. His downfall was triggered when his police chief, Wang Lijun, fled to the US consulate, reportedly to seek asylum after falling out with Mr Bo over his investigation into the death of Neil Heywood. Mr Heywood was found dead in a hotel in Chongqing on 15 November 2011. Local officials initially said he died of excessive drinking, but the government announced in April that it was investigating Mr Bo's wife in connection with the case. Mr Bo and his wife have not been seen in public since then. China: Trouble at the top? 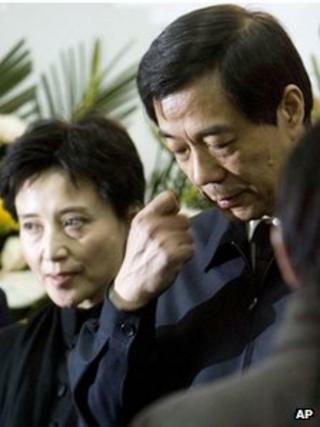 Video What caused Bo Xilai's downfall?